Often on Facebook I see posts asking for a book recommendations. Truthfully I am not usually one that has time for books with much substance i.e. ; politics, dry facts etc. so I hasten to recommend any of the recent Barnes and Noble nook book of the day deals I may have recently indulged in. Life is so busy and chaotic some days that I really enjoy a book that is entertaining and light to take my mind of life. On more than one occasion I have borrowed a book from our son who is the epitome of book worm. The boy devours books at all levels. 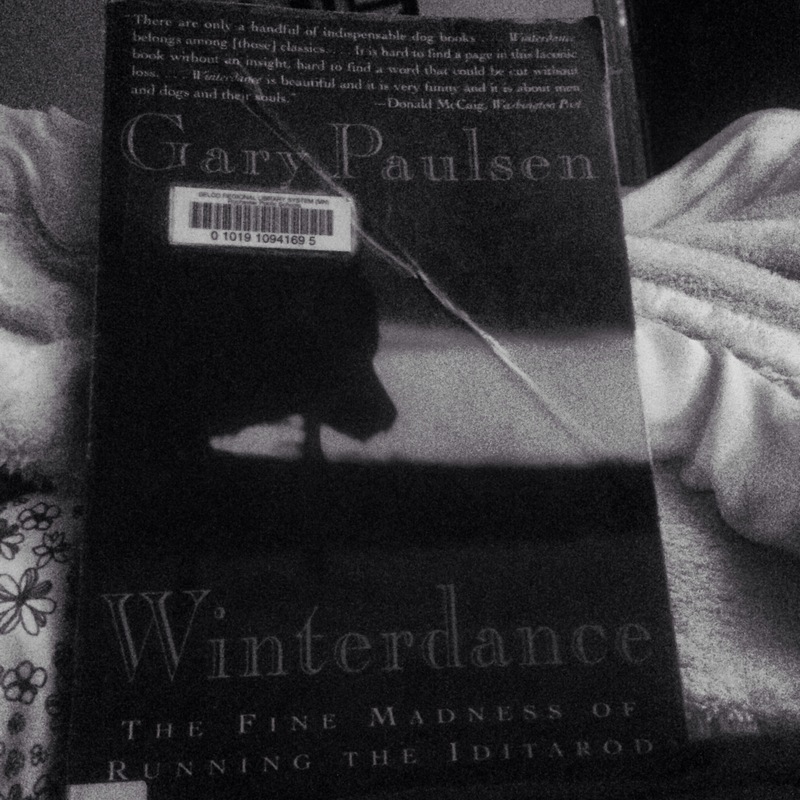 His highly gifted language arts class is following the Iditarod race currently being run in Alaska and his teacher assigned the book Winterdance by Gary Paulsen to the class complete with an email to patents regarding some of the language. Intrigued I picked the book up and likewise devoured it. This book is brilliantly written completely eye opening to a lifestyle I had no knowledge of and a race I truly knew nothing about, and the chapter “Major Wrecks” had me laughing out loud while the kids slept. As a marathon runner there were parts of the book I could relate to, I completely understand a mentally and physically grueling accomplishment that can be related to childbirth, you easily forget how hard it was and are ready to do it again. However, I am still in awe of this man’s journey and all other mushers that even considering attempting this race. I was surprised by the relationship between the dogs and mushers, the totally trust and respect but that these were not lap dogs, these are not social dogs that romp in the dog park and play fetch with their human family. Truly emotional and written by a fellow Minnesotan!!! From my sons 6th grade class and I this is a must read!